Happy New Year!! We hope you are all feeling refreshed and energized for a kickass 2017. Check out our favorite activities for your first week of January. Cheers! If your goal for the new year is to start eating better or cooking more instead of using Seamless for every meal, we have a tasty (gluten free!) recipe you must try. 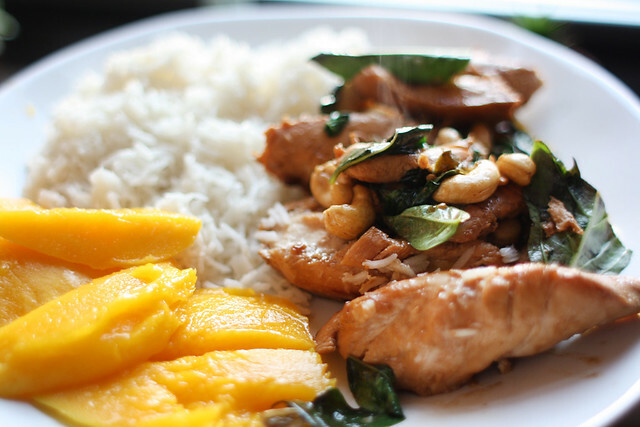 We recently recreated a cashew chicken recipe with coconut rice as a delicious and healthy alternative to the popular Chinese takeout dish. Next time you’re thinking of ordering in dinner, whip this dish up instead. You’ll be happy you did come summertime when you’re trying on new bikinis for your warm weather travels. Get the recipe here. Love visiting NYC’s great museums but hate dealing with the crowds? The head to Quiet Mornings at the Museum of Modern Art on the first Wednesday of each month. See your favorite works of art from MoMA’s collection and discover select new exhibitions, all without the annoying crowds during this special viewing session. A guided meditation session will close this event, so you can head off to work with a clear head and plenty of inspiration. We can’t think of a better way to kick off Hump Day. 11 W. 53rd St., 7:30 – 9 a.m. Wondering what’s in store for you this new year? Join Katie Sweetman of Empowering Astrology and Jesse Mejia of Medita New York for a discussion on the astrology of 2017. The discussion will be followed by a powerful, active meditation session that will help get you on the right foot for the new year. More info here. City Wellness Collective, 141 W. 28th St., 8-10 p.m.
Friday! House of Yes is turning one and wants you to be part of the celebration. The funky Brooklyn nightlife venue is hosting a can’t-miss birthday bash complete with go-go aerialists, DJs, adult beverages, cake, balloons, and plenty of other fun surprises. If you haven’t checked out House of Yes yet, this is the perfect opportunity to do so. 2 Wyckoff Ave, 10 p.m.
2016 may have been rough, but you made it through, so treat yourself to a relaxing spa day. The Alchemist’s Kitchen is offering a sampling of its spa services, including HigherDOSE Infrared Sauna, Nutri Drip I.V. Therapy, Cryosphere Cryogenic Facial, Theraphi Electromagnetic Healing, and Reiki by Ben Lang for a special price. Take advantage of this great deal and treat yourself to some much-deserved pampering. More info here. The Alchemist’s Kitchen, 21 E. 1st St., 12-5 p.m.
Brunch! 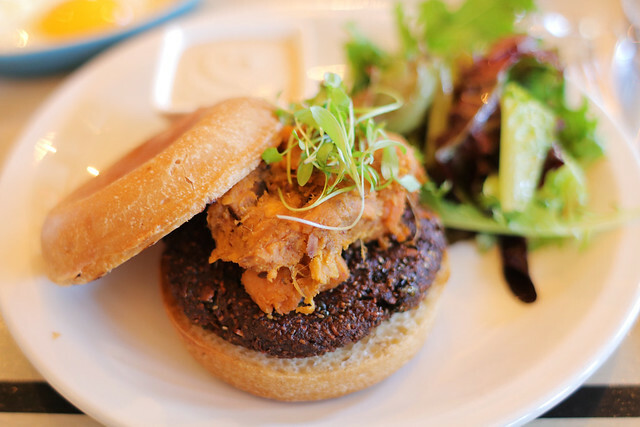 Check out recently reviewed Cafe Clover for brunch staples like this unreal veggie burger. 10 Downing Street, Saturdays and Sundays from 11:00 a.m. to 3 p.m.